Over the past few years, Parley has focused heavily on campaigning, raising awareness, expanding our network and empowering new creators, thinkers and leaders to become advocates and activists for the oceans. If the growth of this movement is any indication, we’re on the right track. But we’re certainly not ‘there’ yet. Through ongoing cleanups and recycling initiatives, we confront our past. Now it’s time to design the future that allows us to move beyond plastics. We need a new dream — a blue dream — a moonshot led by ambitious goals and deep thinkers who turn inspiring ideas into better realities. This dream is one of collaboration, creativity and eco-innovation. It’s about believing we can create and scale new technologies to replace plastic and let go of our toxic past. More than that, it’s about taking the steps to make it happen, and acting before it’s too late. On March 15, more than 1.6 million youth and allies in over 2,000 locations across every continent rallied together to send a powerful reminder of what’s at stake. With only 11 years left to prevent the worst impacts of climate change, the status quo is simply not an option. This is the generation that can change things and give our future what they want: a future. Parley was founded to bring the economic system of humankind into harmony with the ecosystem of nature. We believe we have one serious shot, a small window of opportunity to act on our knowledge, fix what is broken and transform a global mess into a once-in-a-generation opportunity: the Material Revolution. Let’s use it wisely. Together. Creators, thinkers and leaders came together at the United Nations and Explorers Club in New York to celebrate World Oceans Week, exchange ideas, and launch new Parley alliances and projects. The British Fashion Council honored Parley with the Special Award for Innovation, for the invention of Ocean Plastic® and our commitments to building a new economy of creativity and collaboration. Parley partnered with Biofabricate to bring innovators and industry leaders together with one humble goal: kickstarting the next industrial revolution. 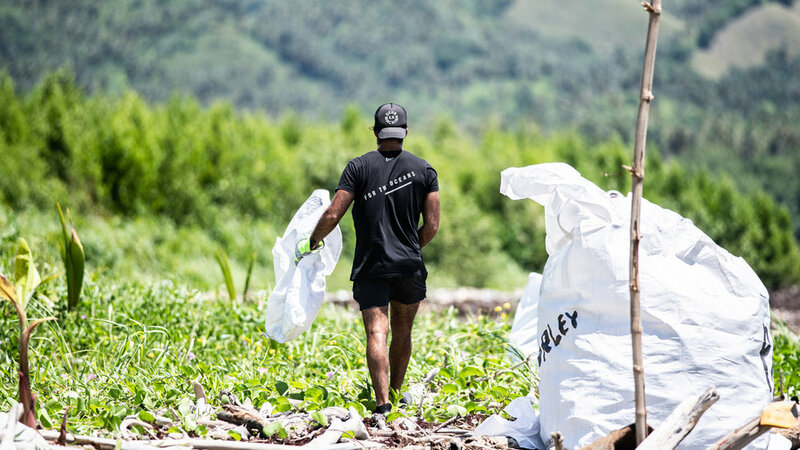 Together with over 350 collaborators and 122,634 volunteers, Parley intervened through 490 cleanups (and counting) on beaches, remote shorelines, mangroves, riverbeds, waters and high seas. Through our Corona x Parley 100 Islands Protected initiative, we’ve brought the Parley AIR Strategy and cleanups to more than 15 countries. Thank you to every volunteer on the front lines of the fight to protect the oceans. American Express joined the movement to stem the tide of marine plastic pollution with a plan to introduce the first ever credit card made primarily using Ocean Plastic® and new corporate commitments that embody Parley AIR. Real Madrid, Bayern Munich, Manchester United, Juventus and The Miami Hurricanes joined the movement for the oceans with third kits made from Parley Ocean Plastic®. A record-breaking adidas x Parley Run for the Oceans rallied almost 1 million runners and raised $1 million for youth education. Partnering with the Ministry of Education, local schools and NGOs, we helped over 100,000 Maldivian youth and their parents go swimming and snorkeling on their home reef — many for the very first time. Additionally, our in-school Parley AIR and youth education programs have reached dozens of island communities. We plan to roll out our Ocean School curriculum across all 217 schools by the end of 2019. L.A. got immersed at 747 Warehouse St.
747 Warehouse St. brought two days of immersive creativity, basketball, and the oceans to L.A. Attendees made personal Parley AIR Pledgers and got a behind-the-scenes look at the creation of Ocean Plastic® and the adidas x Parley partnership. adidas x Parley hit another milestone of 5 million pairs of shoes sold. adidas is working to phase out all virgin plastics from its supply chain and eventually, all plastics. Period. …where all limited-edition product sales support our cleanup efforts. 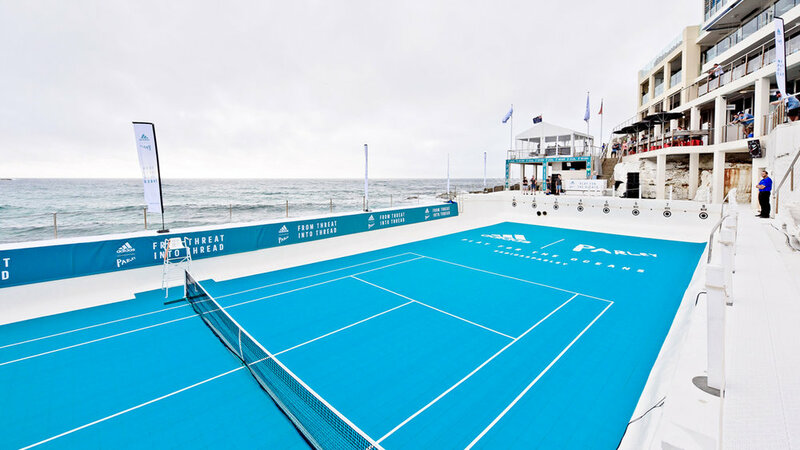 The first Parley Ocean Bag artist series feature the surf paintings of Julian Schnabel; each funds the removal of 20 additional pounds of marine plastic debris. Our growing network of AIR pledgers are leaders in fashion, sport, education, hospitality, design, art, music, technology, government and more. In the Maldives, our nationwide AIR program introduced plastic interception points in every island school, and launched the nation’s first recycling station at Malé. Porter x Parley launched a special magazine issue with editor Lucy Yeomans, guest editor and fashion model Anja Rubik, and photographer Mario Sorrenti dedicated to the oceans and calling on the fashion industry to make a Parley AIR Pledge. We completed our most far-flung expedition yet to test new technology and collect big data on ocean health, without disturbing the whales in their environment. Parley joined forces with the all-female sailing research crew of eXXpedition for a North Pacific journey to make the unseen seen. In Indonesia, the Keliling Bali crew circumnavigated the island on a raft made from recycled materials to spotlight the spread of marine plastic pollution and Bali’s youth-led resistance working to end it. We launched the Cold Water Island Project in the U.K.
As part of our ongoing partnership with Surfers Against Sewage, we’re empowering island communities and their leaders in the fight against marine plastic pollution through Parley AIR. SOMA x Parley introduced the first-ever water bottle with an Ocean Plastic® sleeve, putting a solution directly into the hands of consumers. For the second year in a row, our record-breaking World Oceans Week garnered iconic support on the New York skyline, making a statement for the oceans. MORE CHANGE Ahead. Stay tuned.